The First Baptist Church of Royal Oak erected a frame building in 1839 near the present intersection of Third Street and Main, perhaps where you now find a Starbuck’s. Little did that congregation know what would become of their structure and how many times it would be moved. The First Baptist Church erected a more modern large building in 1876. This was a wooden church in the Greek cross style located at the intersection of North Main and University where their present sanctuary stands. The frame building was then used as the village town hall. With the growth of Royal Oak, it seemed desirable for the suburb to have more modern offices and to remove old wooden structures from the chief thoroughfare. George Martin, to honor his wife who was the first president of the Royal Oak Woman’s Club, donated land on Lafayette Street for the building and, I believe, paid for its migration. The site had historic significance since it was bordered by the trail that the Sauk Indians has traced from Detroit to Saginaw in the Sixteenth Century. In 1928, the building was moved once again; this time to its present location at Fourth and Pleasant Street. 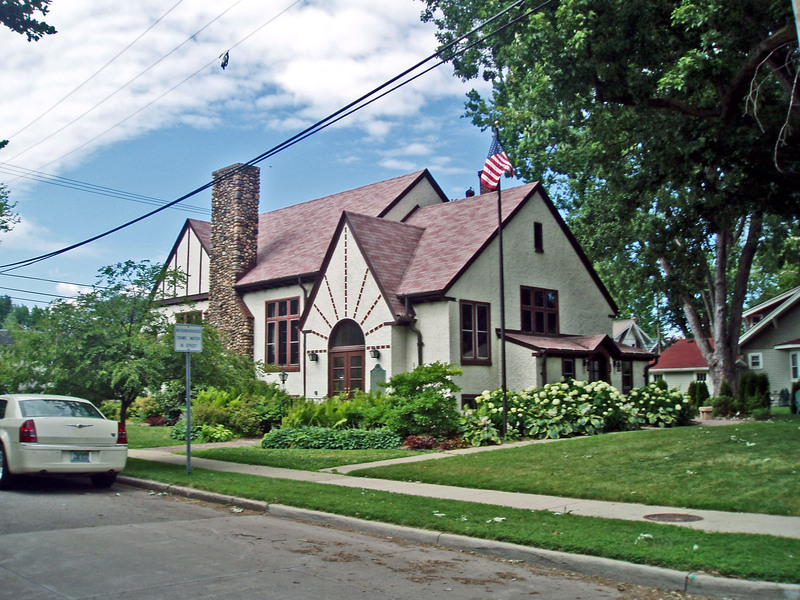 The club took out a $20,000 mortgage to completely remodel the building into the attractive Tudor structure that you see. At that time, a huge cobblestone fireplace was added. Apparently, the original beams used in the First Baptist Church in 1839 are visible inside. Apart from that, I presume that the 1928 building you see today little resembles the original Baptist church.